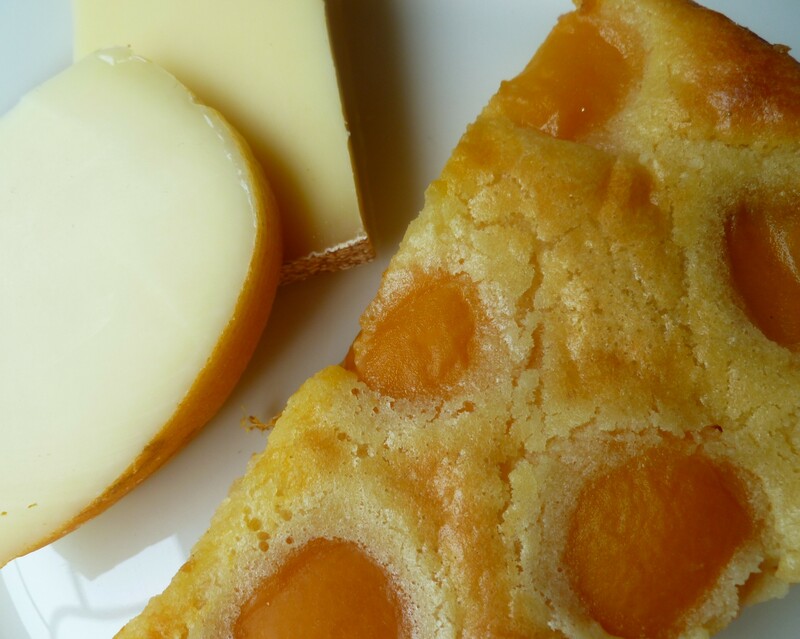 Along with a Swiss Plum Tart or the Austrian pancake known as Kaiserschmarren, French Clafoutis is a dessert that sometimes steps outside that category and becomes part of the main meal. 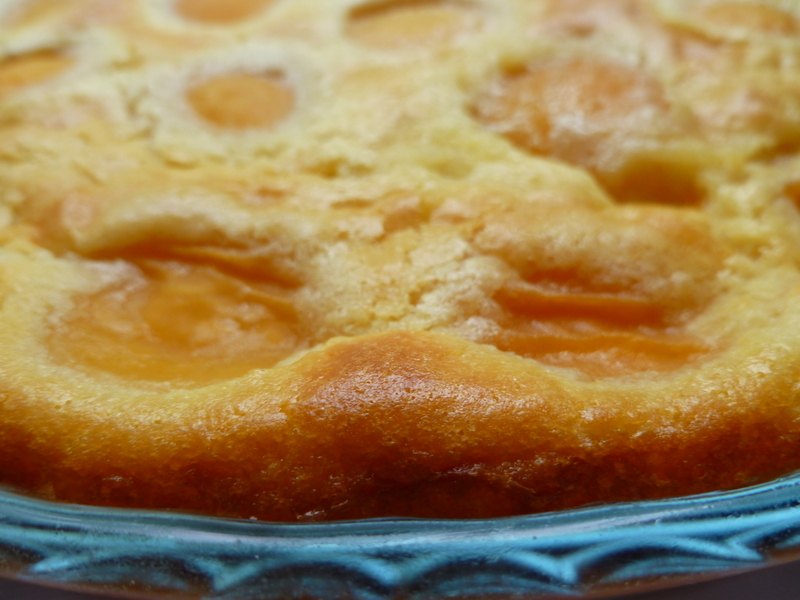 Clafoutis is a baked custard and fruit dish. 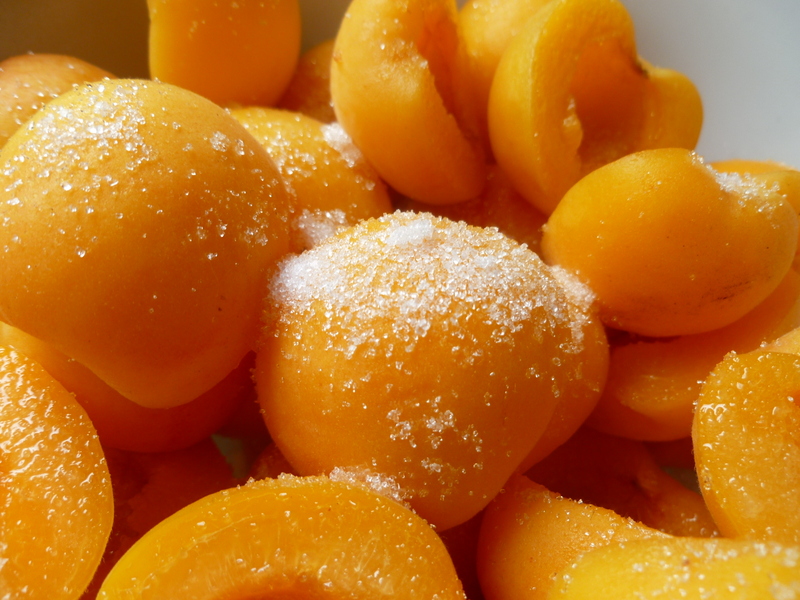 There are some versions of it that are too sweet to be eaten anyway but as a dessert. 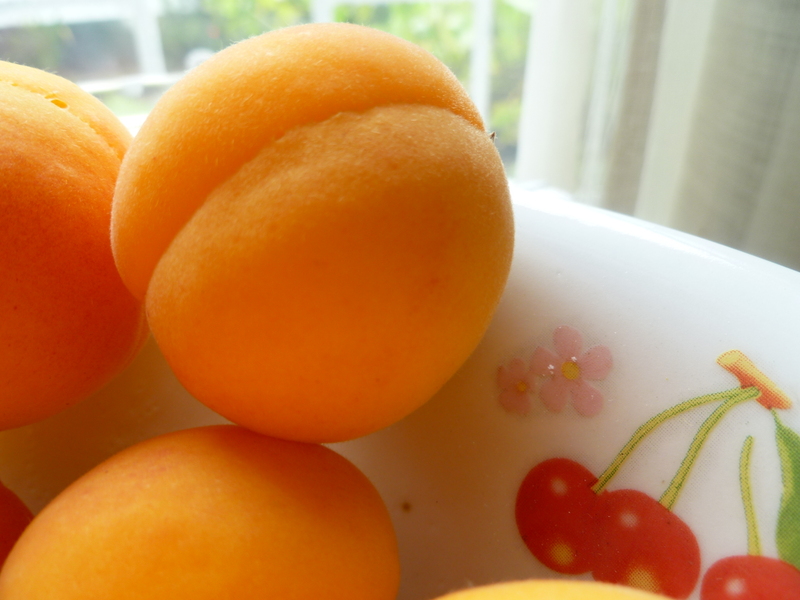 But this Apricot Clafoutis is not one of them. The custard is a shade of sweetness that doesn’t overpower the natural sugar in the fruit and it is textured with ground almonds. With a slice of cheese, it is a meal. But what sort of meal? Supper or brunch or a breakfast are all possibilities. 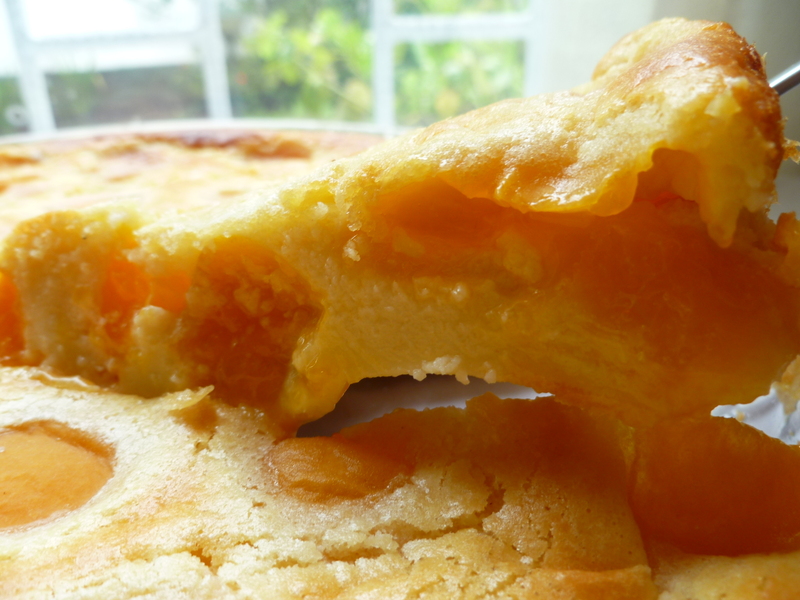 And then, there is another institutionalised occasion for eating which suits Clafoutis well–and that is–Elevenses. Elevenses is not a new notion. It is a custom so well-established in Anglophone cultures that it is not uncommon to find characters in popular literature partaking of it. Many will already be familiar with Elevenses from reading the stories of Winnie-the-Pooh. Tolkien’s Hobbits, too, work in Elevenses between Second Breakfast and Lunch. Like afternoon tea, Elevenses comes in simple and fancy forms. In either variety, the mark of Elevenses is something to eat with something to drink–but not so much as would make a meal–at a time hovering between the hours for morning coffee and lunch, and an eclectic menu that is sweet or savoury or both. 1. 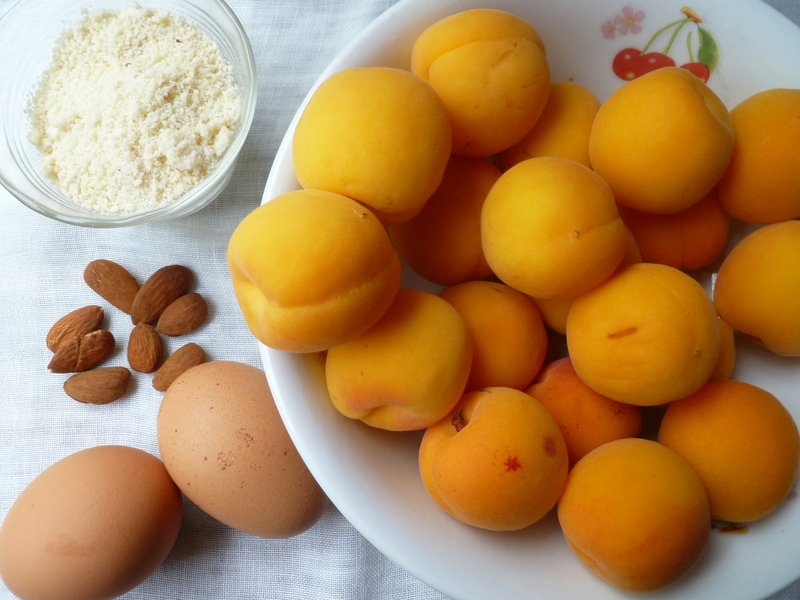 Make the Clafoutis batter before cutting the apricots. 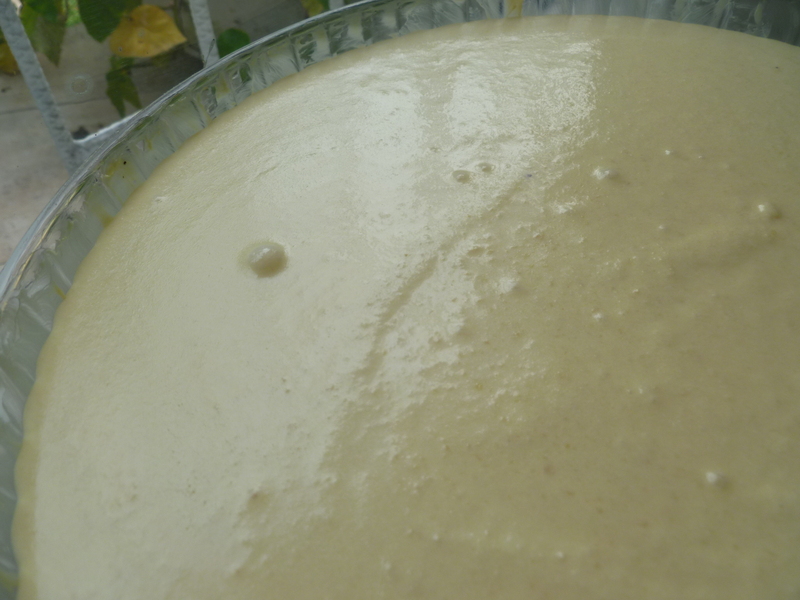 (The longer the batter sits–even for 2 or 3 hours– the better the resulting Clafoutis. But it is not essential to let it sit.) First, in a deep bowl, beat the softened butter. Then add the powdered sugar and the vanilla. 2. 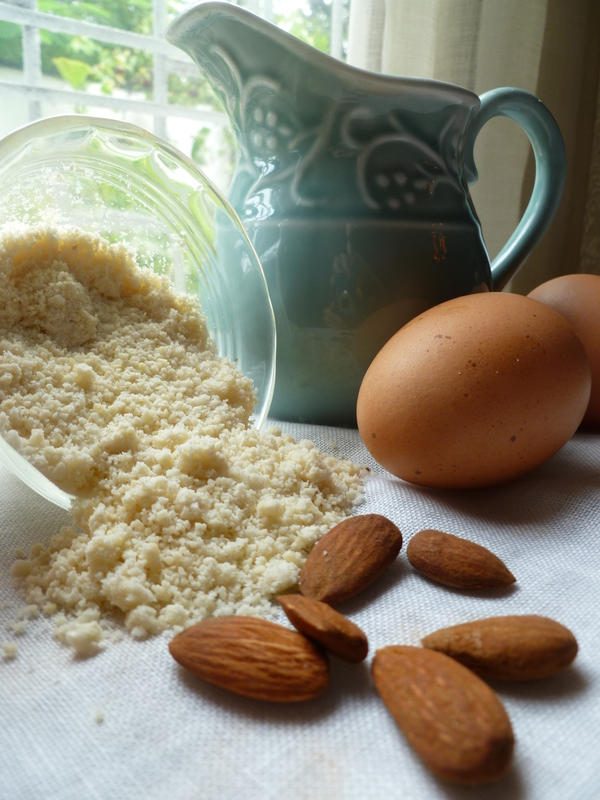 When the sugar and vanilla are both well mixed into the butter, add the ground almonds and 1 of the eggs. 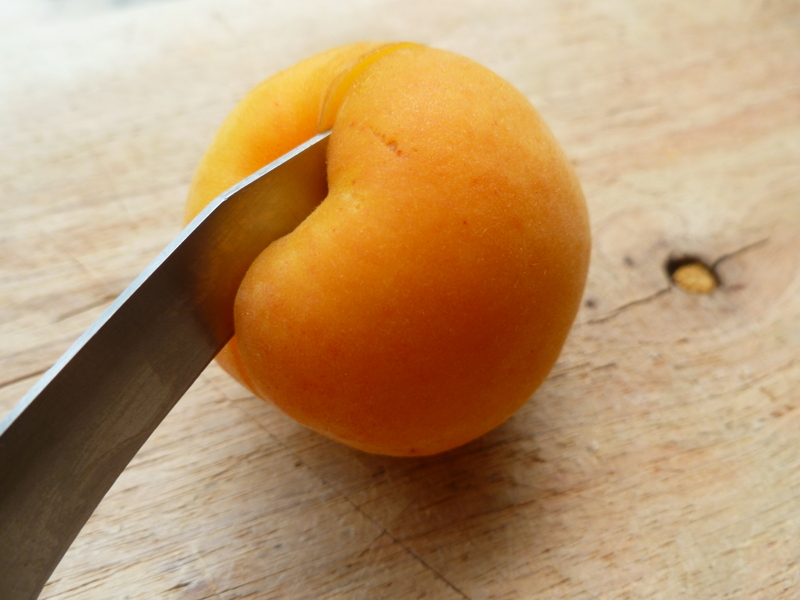 A spatula is useful for scraping the sides of the bowl occasionally to make sure that the entire mixture is well-combined. 3. In a little bowl, whisk the flour and baking powder together. 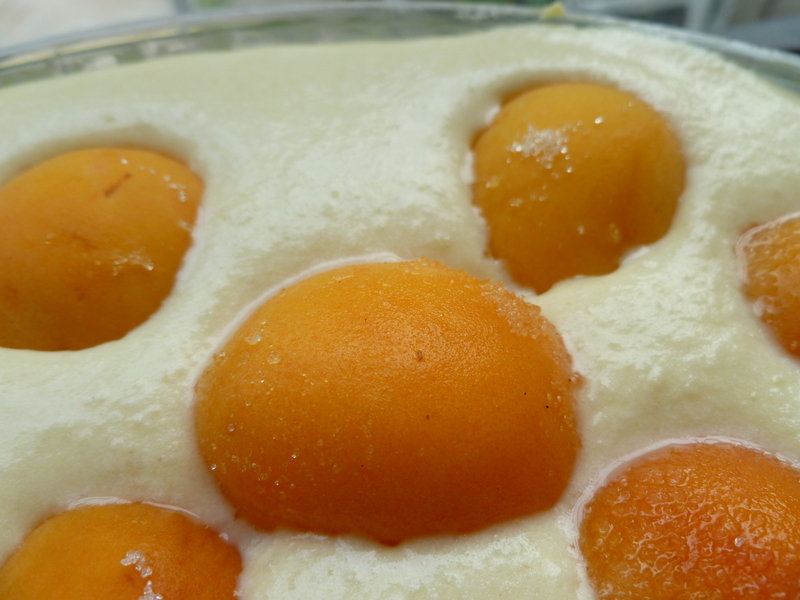 In a second large, deep bowl, beat the two remaining eggs and add in the flour. 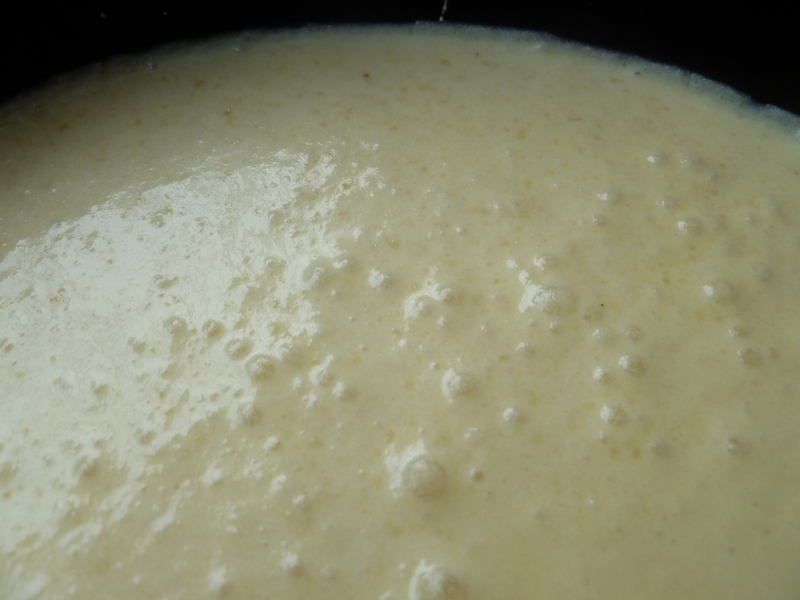 Gradually add the milk to this mixture. Put it into a 4-cup liquid measuring cup (if you have one), and gradually add it to the butter, sugar and almonds, mixing it all the while. After all the milk is added, run a spatula around the sides of the bowl and then whisk the mixture to make sure everything is blended together well. Let the batter sit if you have the time and you feel like it. 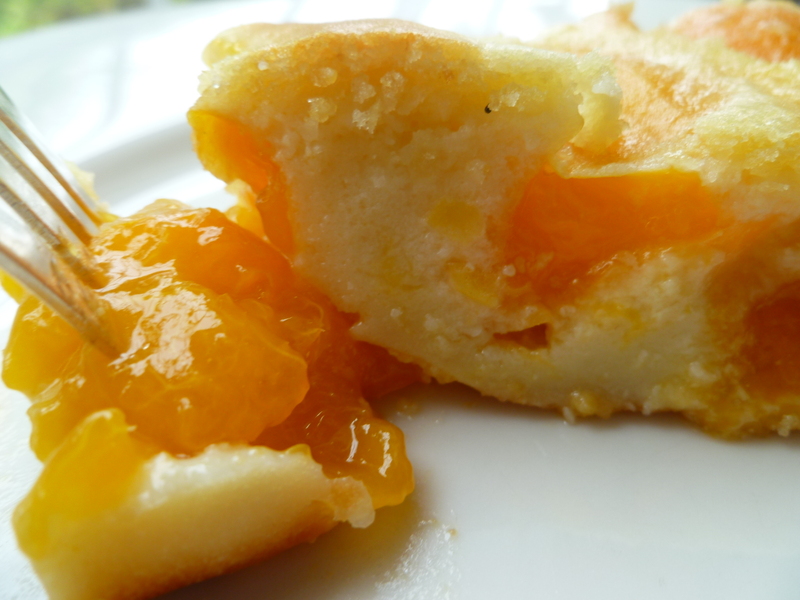 A Note: If Apricot Clafoutis is for breakfast, brunch, or supper, one nice possibility is to serve a couple of cheeses with it. 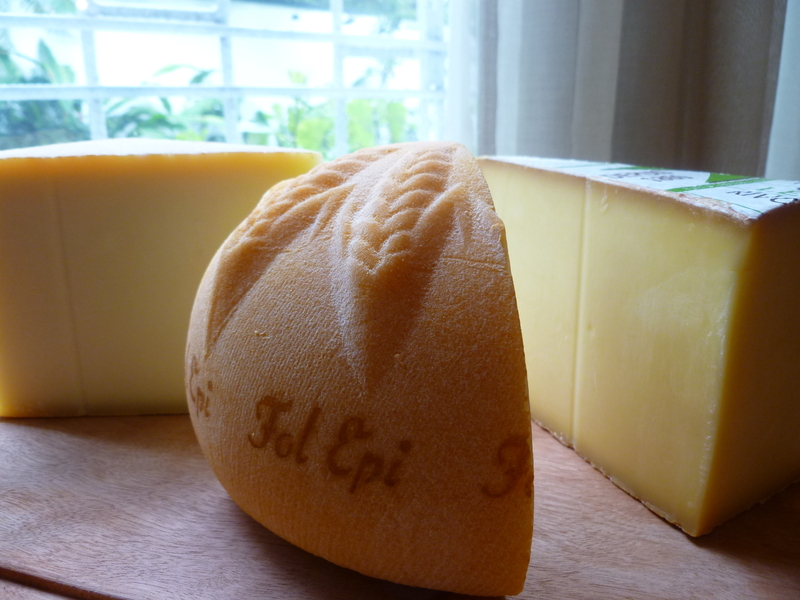 Gruyere, Fol Epi, and Comte… are all good with Clafoutis. 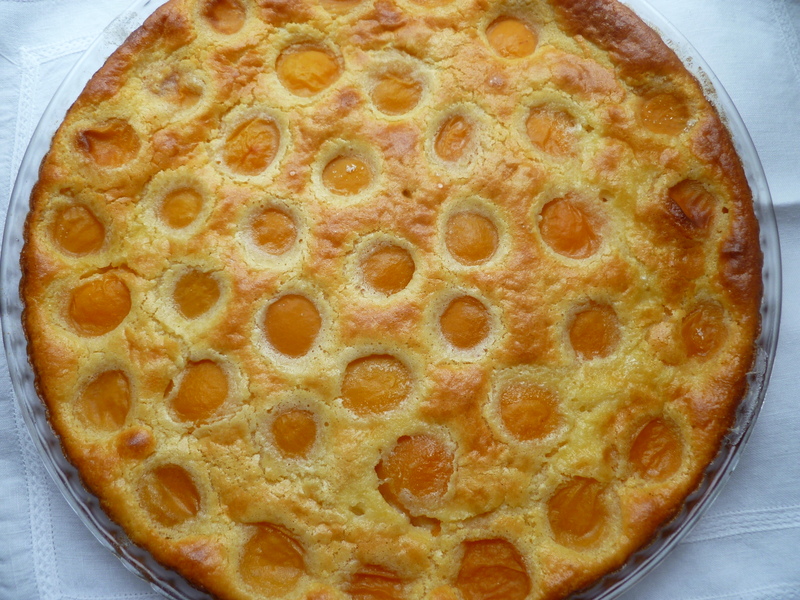 A Second Note: Apricot Clafoutis is part of the Occasional Menu: Elevenses for Ladies. The recipe is adapted from one in the French cooking journal, Cuisine Actuelle. Pingback: Clintonville Community Market » Elevenses! Thanks for the recipe. 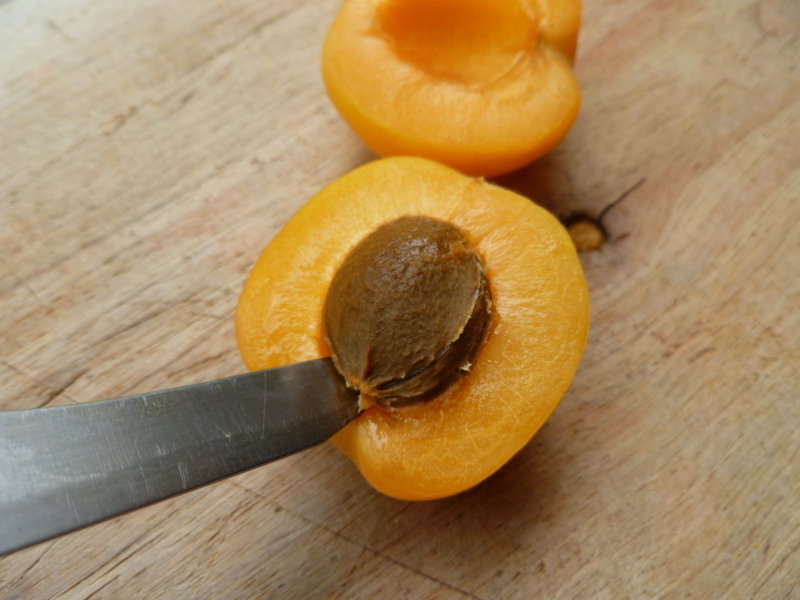 I only put in 12 apricots but wish I would would have added a few more. I was able to let it rest for a few hours. You’re welcome! I’m glad you enjoyed it.:-). 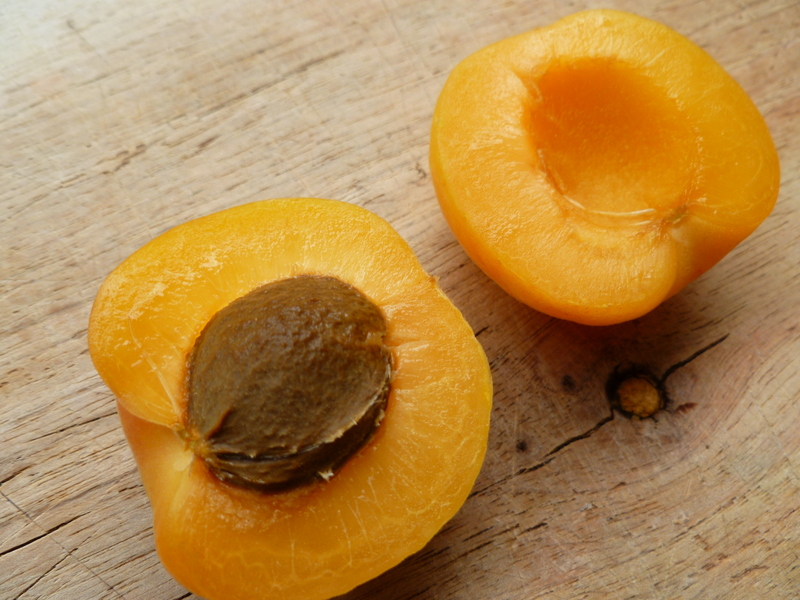 when it comes to plums and apricots, I inevitably buy either too few or too many. The Demerara sounds a good idea.